Meet the tour leader at Malta International Airport to check in for your flight to Stockholm (with transit). Upon arrival at Stockholm airport, you will be transferred to your hotel for overnight. After breakfast and room check-out, you will meet the tour leader to take the coach for a half day city tour of Stockholm before you proceed to the cruise terminal for check-in. After check-in and cabin assignment, you may then begin exploring the many facilities this wonderful ship has to offer. With incredible dining, fantastic entertainment, action-packed activities and acres of glass offering stunning ocean views, a holiday on-board Serenade of the Seas is a dream wish come true. Enjoy your relaxing day at sea. This gives you the opportunity to make use of the varied facilities on board. Join the aerobics class with qualified instructors or simply relax by the pool. The ship’s animators will be organizing varied activities by the pool deck and other lounges (kindly consult your ship’s daily programme for timings). Every evening at sea sparkles with dazzling entertainment. Designed to indulge your individual preferences, Royal Caribbean Cruises entertainment choices range from Broadway-style productions, captivating shows and lively discotheques to the glamour and excitement of Monte Carlo-style casinos and specialty lounges. This morning you shall arrive in St. Petersburg, surely one of the highlights of this cruise! The ship shall berth in this wonderful city overnight and shall depart tomorrow evening. (Important note – All clients who wish to disembark and explore the city on their own, must obtain an entry visa for Russia from the Russian Embassy). Join our optional day excursion to explore this wonderful city. St. Petersburg is rich in cultural heritage and a masterpiece of architecture that embodies the soul of Imperial Russia. Elegant façades, glorious cathedrals and grand residences were built along the city’s canals. The Hermitage Museum (incl. entr.) is one of the world’s greatest treasures and features more than 3 million exhibits. The bulk of the collection is housed in the impressive Winter Palace, the former home of the Tsars and one of the focal points of the 1917 revolution. Stroll along Nevsky Prospekt, the city’s main street for shopping and restaurants. Across the Neva River one finds the Peter and Paul Fortress, one of the first buildings constructed in the city. Another incredible full day in St. Petersburg! After breakfast, you may wish to join another optional day excursion visiting Petrodvorets (Peterhof), the town of palaces, fountains and parks which was the most brilliant of all the summer residences of the Russian Tsars. It was conceived by Peter the Great to rival Versailles in splendour and indeed, one could spend the whole day enjoying the extravaganza of the fountain display. 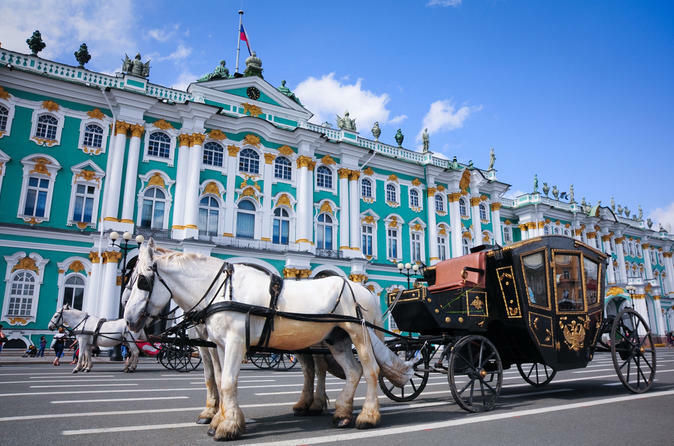 The memories of these two beautiful days in St Petersburg, will for sure accompany you during the rest of your cruise. First established in the early medieval era, today’s Tallinn is an exciting mix of old and new. After a relaxing breakfast, we suggest you to join our optional half day excursion of this exciting city, Tallinn, Estonia’s capital. You shall have the possibility to explore the heart of the city including Toompea Castle, now home for the Estonian Parliament and the lovely Russian Orthodox Alexander Nevski Cathedral passing through various medieval cobbled streets. Discover Helsinki, the national pride of the Finnish people along with the Swedish and Russian legacy in this beautiful capital. After an early breakfast you may wish to join our optional excursion as we explore the city of Helsinki. After leaving the port, you will be driven towards the heart of the city along the coastal road, before arriving in the neoclassical Senate Square. Perched above the square’s wide steps, you will see the domed Lutheran Cathedral. Designed by Carl Ludwig Engel, the square is surrounded by the University, State Council Building and Cathedral. As you continue the tour passing onto Mannerheim Street, the main thoroughfare of the city, you will see the Parliament House, National Museum and the Finlandia Hall. Visby, a storied seaport and your gateway to Gotland, is Sweden’s most alluring island resort. A popular trading spot since the Viking Age, the island has soul and enough medieval architecture to take you back a few centuries. In fact, there are over 92 thirteenth - century churches still in use throughout the island. Join today’s optional excursion to discover Visby as a medieval treasure, as well as Gotland’s historic west coast on a 3.5- hour tour. Visiting Almedalen, you’ll find Visby’s oldest structure, the Gunpowder Tower. In Gnisvard Skeppssattning, see a Bronze Age burial place outlined with standing stones, forming the shape of a ship. Take in the picturesque fishing village of Gnisvard, and be sure to make your way up the staggering limestone cliffs at Högklint, rewarding yourself with stunning views over the coastline. Ship docks in Stockholm at 08:00 hrs. 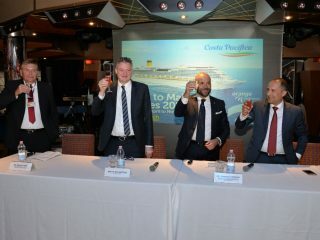 Enjoy your last breakfast on board followed by disembarkation and transfer to Stockholm airport for your return flight (with Transit) to Malta.